Have you ever seen bananas in the store that have their stems wrapped in plastic? This is actually a way to easily keep your bananas fresh longer by keeping ethylene gas from reaching other parts of the fruit and over-ripening it. See more about that here. Slice your banana (that’s where the banana slicer comes in handy). Or you can just do chunks if you have a powerful blender; I absolutely love mine and cannot recommend it enough! Set the bananas on your baking sheet evenly, without letting them touch. Cover them with some plastic wrap and carefully put them in the freezer. Make sure the sheet is flat so the slices don’t move around. Freeze for 1 – 2 hours, until solid. Remove the slices and transfer them to an air-tight container then keep in them in your freezer until you’re ready to use them. Another method for preserving bananas is to use your solar oven (I love my Sun Oven) for solar drying. You have to give the solar oven some time to dry out your fruit but it is a great, and hands off, way to dehydrate bananas. You can prepare your bananas in short round slices again or check out the long slices Little Eco Footprint uses to dehydrate in her solar oven. Next to freezing, this is usually how I preserve my bananas for the long term. They are great snacks, can be stored for up to a year (airtight in the fridge), and easy to carry on walks, hikes, to the park etc. You’ll need a quality kitchen dehydrator like The Excalibur or the more budget friendly Nesco (this is what I have). Slice your bananas evenly so they’ll all be done at the same time. I like to use the Food Storage Mom’s method of using lemon use on the bananas before putting them in the dehydrator. This will keep the bananas from over browning. You’ll need about 5 – 6 hours for dehydration for these. Another great way to keep your bananas is to make banana chips in the oven. No special equipment needed! Lay your slices on a baking sheet covered in parchment paper and make sure they are not touching as much as possible. Bake at 225 for about 3 hours (start checking them at the 2 hour mark because every oven is different). I like to flip them at this point and give them another 30 – 45 mins (again you may need to adjust up or down for your oven). You’ll know they are done when they are not sticking to the paper (that’s when you can flip). Your banana chips should be a nice golden brown and have no moisture left. Allow them to cool for 30 minutes before you remove them; this allows them to crisp up! If you don’t see crisping after 5 – 10 minutes they probably need more baking time. 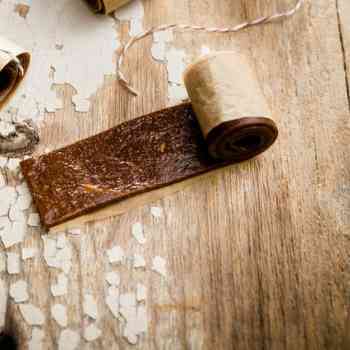 Making your bananas into a roll-up fruit leather is another fantastic way to preserve them. This works well with bananas that have over-ripened already too! Again you’re going to need dehydrator like The Excalibur or the Nesco and at least 1 set of fruit roll inserts for your model of dehydrator, like these. Instructables give some great step by step instructions on making fruit leather. I’ll be honest, when it comes to preserving bananas this is not a method I’ve done myself. But I wanted to include it because this is a viable method for my canning readers! 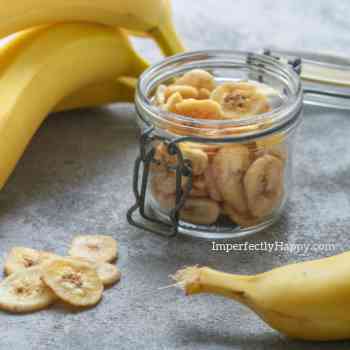 Now I do know that canning bananas on their own is generally considered a no-no but there are some great recipes that you can use; and that’s how you can preserve bananas in canning. 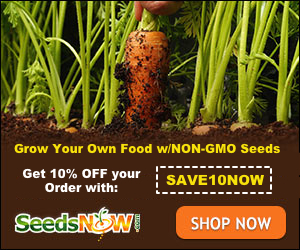 Want more free canning recipes? See my list of 75 Free Canning Recipes and be sure to check out Common Canning Mistakes! Here are a couple of helpful links to get you started. 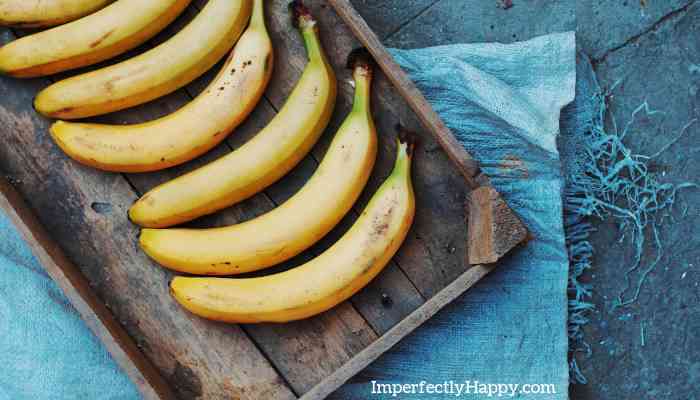 I hope these 6 methods help you to preserve your bananas and not toss them out anymore! Banana Rum Jam is heavenly. Spooned over vanilla ice cream. Oh My!